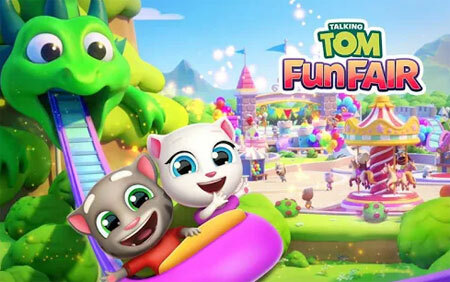 Talking Tom Fun Fair is a unique puzzle game developed by Outfit7 Limited. Join Talking Tom and Friends as they save the old Fun Fair from falling apart. Solve puzzles to build new attractions and help recreate the magic of the park’s past, unlocking new areas as you go. Complete loads of challenging levels and unlock new worlds. Unlock powerful boosters and make explosive combinations. Earn energy to help Talking Tom and Friends renovate the park and build new attractions. Choose from different options to create the amusement park you’ve always dreamed of. If you get stuck in the game, check out the video walkthrough and gameplay for the game. This entry was posted in Android and tagged Talking Tom Fun Fair Cheats, Talking Tom Fun Fair Gameplay, Talking Tom Fun Fair Guide, Talking Tom Fun Fair Strategy, Talking Tom Fun Fair Walkthrough by Marvin Tang. Bookmark the permalink.